Samlesbury Hall was constructed by the Southworth family around 1425. The person responsible for much of the main fabric of what we see today was Sir Thomas Southworth. Knighted for his roles in the wars against Scotland, he was frequently in trouble with the law. That said, he also held the post of High Sheriff of Lancashire and oversaw the destruction of Whalley Abbey as a Royal Commissioner for Henry VIII . The huge south range of the hall was reconstructed in brick under his direction, and was probably one of the first buildings to have this done in Lancashire. 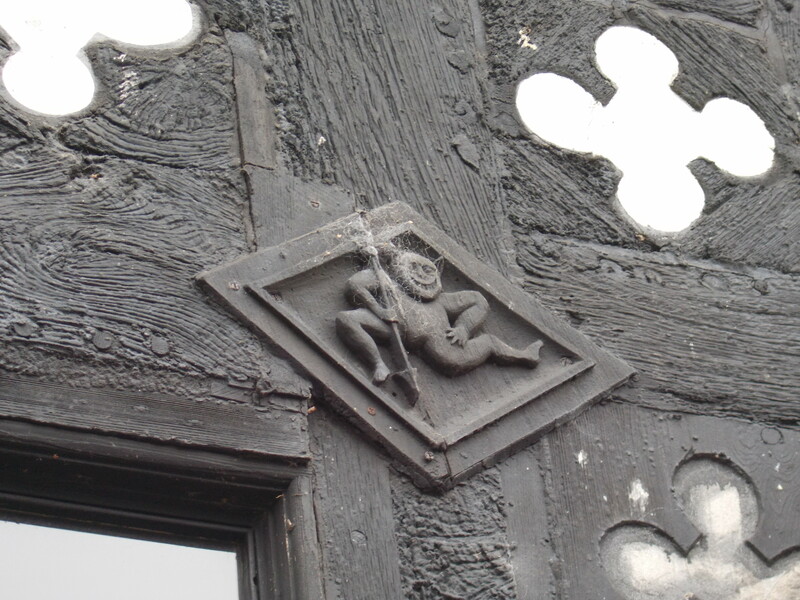 Interestingly the craftsmen that worked here also created Rufford Old Hall (see our page on it here). His son Sir John inherited the hall and estate. He also served as High Sheriff and an Ecclesiastical Commissioner tasked with enforcing religious laws. In a time when Protestantism was the ‘official’ religion, his post did not prevent him from coming under suspicion of being a secretly practicing Catholic, which indeed he was. For his faith at various times he was fined, had lands seized, and was summoned to London where he was forced to lodge with the bishop to be ‘persuaded’ of his religious errors. Finally Sir John was imprisoned for his beliefs in New Fleet Prison in Manchester. Eventually he received a pardon and his lands that had been taken were returned to him. All of this did not make him abandon Catholicism, and he and his family still carried on practicing their faith in secret. Late in Sir John’s life Samlesbury Hall was raided by Richard Bretherton, a local justice of the peace, in the hope of finding religious incriminating evidence. Records from the time tell us that among the “superstious thinges” they discovered were “papist books”. In a hiding hole by the roof of the Great Hall were found two candle sticks, an altar canopy and 14 religious images all presumably to do with conducting a mass. This could have been one of the three alleged priest holes the house has, and can still be viewed when visiting today. The Southworth’s fortunes waned and in 1678 they sold both hall and estate to Thomas Braddyll. From then on the hall was leased to tenants, as the Braddyll family never lived there, their family seat being at Conishead Priory. Over the next century the hall was divided up into tenements and fell into bad repair. Its occupants were weavers and labourers, and the absent landlords did little to prevent further ruin of the building. In 1862 Samlesbury was sold yet again, this time to Joseph Harrison a prosperous iron works owner from Blackburn. He added the west end of the south range and installed the impressive staircase that can still be seen today in the entrance hall. In 1878 there were cotton operative riots, as workers went on strike over a pay cut. In response a substantial body of men were installed at the hall- 50 military personnel with an officer, 20 police constables with an inspector. At the beginning of the twentieth century the fate of the house hung in the balance. In 1918 Joseph’s son Henry sold off the estate and hall and it was bought by a group of Blackburn builders who planned to demolish it and build new homes on the land. In response the Samlesbury Hall Trust was set up to save the house and managed to buy it in 1925. The trust is still responsible for the upkeep of the property, and over the years it has gone from strength to strength, particularly recently. 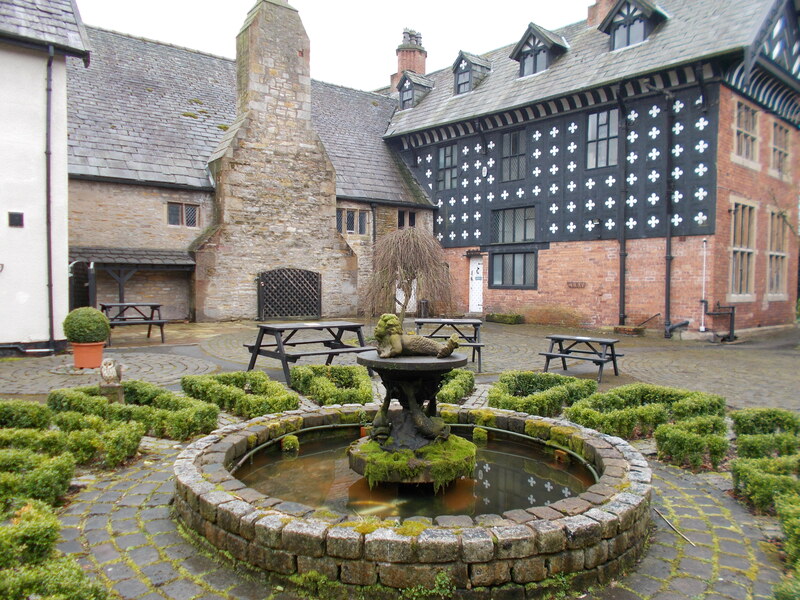 Visitors to Samlesbury can see much of its Tudor history. The Entrance Hall was built in 1530 and this would have been used to receive guests. The fireplace in this room has a possible priest hole, dating from Elizabethan times that could have led down to the sewer and moat. You can see the impressive staircase that features a double tailed mermaid put in place by Joseph Harrison. Originally the chapel was a separate building, but was joined to the main hall in 1530. Here you can see one of the huge windows taken from Whalley Abbey during the time of Thomas Southworth. The chapel would have had a carved wooden screen to separate the worshipers from the altar, but this was taken to Conishead Priory in 1821 and is still there today. The chapel features a gallery for the lord and his family to sit in, while the servants would have worshipped below. Today the room is used for civil weddings. The Great Hall dates from the 1400s. Originally it would have been much less grand than we see today- perhaps an earth floor covered with rushes, a central fireplace and thatched roof would be the standard design. Improvements were made by Thomas Southworth who added the large bay window in the 1500s and the great fireplace. There would have been a large moveable wooden screen at the north end of the room. Remnants of this can still be seen in the faux ‘minstrels gallery’ above the south end. This strange feature also incorporates parts of old furniture, including bedsteads, and is thought to have been created when the hall was converted to the Braddyll Arms inn. The upstairs Long Gallery has a display featuring the case, vestments and equipment for a priest to come to the house and give a mass in secret. This is a fascinating and fitting display of artefacts, as such activity caused so many problems for John Southworth and his family. Other rooms of interest include a recreated Victorian kitchen, a world war one room with lots of objects and stories from the conflict, and a timeline room showing the history of the hall laid out along with contemporary national events. 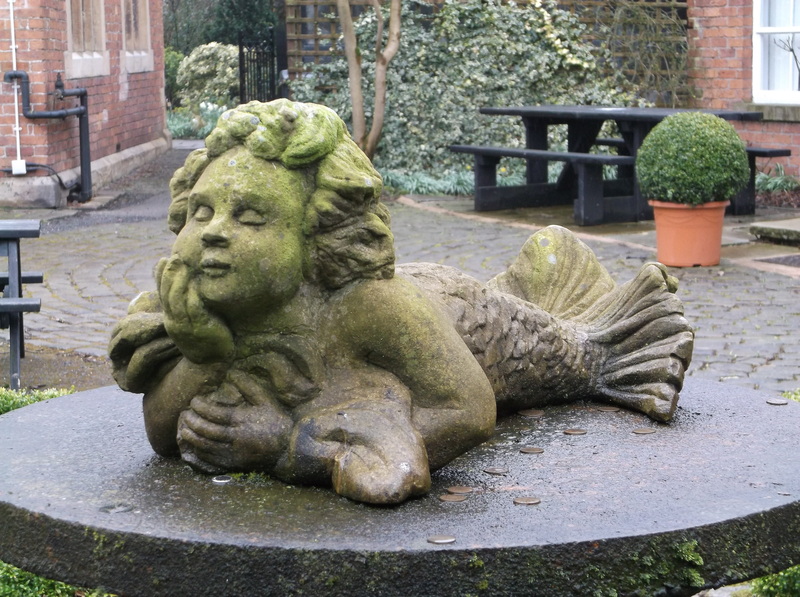 Samlesbury Hall also offers an art gallery, cafe, restaurant, extensive shop and antiques to purchase. In the grounds are small holdings containing goats, rabbits, hens and bees and two artist studios. As of 2015 it is now free to visit all of the hall. Samlesbury Hall is open every day 11am-4pm EXCEPT Saturday. It is closed occasionally on a Friday, so check the website here for details. Entrance is FREE and there is a large car park on site, also free.